3.5 oz (100 gm) pots of OPAQUE pigments for Epoxy and Polyester resins. 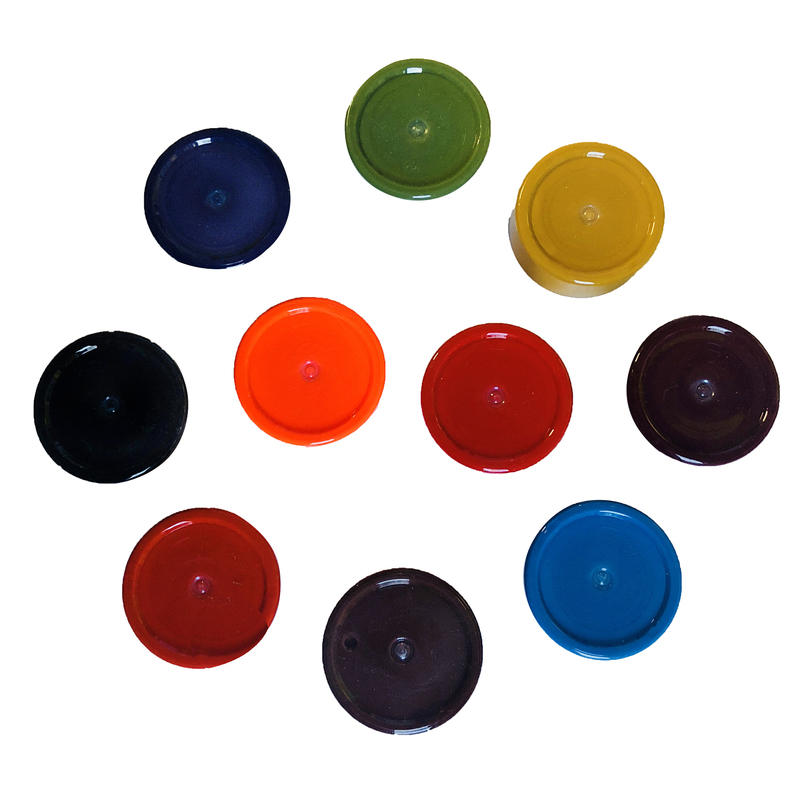 These 100 gm pots of tints and pigments are packed with hi-Intensity pigments for Polyester and Epoxy Resins. Only the finest pure ground pigments are in these products – ensuring even spray, brush or squeegee application. The concentrated formula means far less is added than conventional pigments, resisting fading and blotchy laminates. These are generally OPAQUE pigments. You can get TRANSLUCENT versions of some of them. Also available in 900 gm pots. More below…. These 100 gm pots of tints and pigments are packed with Hi-Intensity pigments for Polyester and Epoxy Resins. Only the finest pure ground pigments are in these products – ensuring even spray, brush or squeegee application. The concentrated formula means far less is added than conventional pigments, resisting fading and blotchy laminates. These are generally OPAQUE pigments. You can get TRANSLUCENT versions of some of them here. Available in 3.5 oz (100 gm) pots and 32 oz (946 gm) pails in a range of colours. We stock two ranges of pigments: Concentrated or Standard. This is the concentrated – or hi-intensity- range. We have a range of RAL or Fascol pigments in our standard range for Epoxy and Polyester resins. We can also mix to order, or match from a sample. NOTE: Due to variations in screen displays, we do not publish colours. The colours displayed are for reference only, not an accurate representation of true colour hue. To Use: Blend well into resin, scrapping sides and ensuring an even distribution of pigment throughout resin. Add before hardener or catalyst. Experiment with concentrations – 1%-2% is usually enough.